The Syrian air force shot down a “hostile target” that was flying over the town of Kiswah, south of the capital Damascus, state media said. Meanwhile, Israeli army has denied that any of its fighter jets have been shot down in Syria. 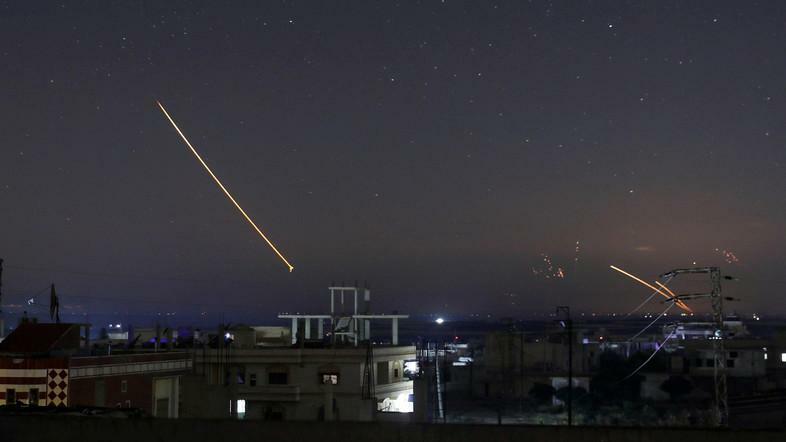 Syrian army said that it continues to “repel aggression” over Southern Syria and that its air defenses have downed several “hostile targets”, according to state media. Syrian opposition sources on the ground said the area was close to where the Iranian-backed Hezbollah group has a powerful presence with several bases. Israel, concerned that Iran’s growing presence in Syria poses a threat to its own security, has struck dozens of Iranian and Iran-backed positions in Syria over the course of the seven-year conflict. Tehran has expanded its military presence in Syria through its proxies, and Hezbollah is by far the biggest militia.